Dive Friends Bonaire offers four retail stores in Kralendijk that can provide whatever you may need during your dive vacation or the souvenirs you may wish to bring home. Certainly with such a selection, there is no need to spend valuable vacation time locating a shop that carries the dive equipment or perfect souvenir you seek. For your convenience, we also offer a limited selection of dive accessories and t-shirts at each of our seven dive centers. For a wider selection, ask for directions to the shops at any Dive Friends facility. If you don’t find it at the Dive Retail, Dushi Shoes, or Reef, you probably won’t find it on Bonaire! The Dive Friends Retail specializes in dive equipment, BCDs, regulators, computers, wetsuits, dive accessories and underwater cameras. 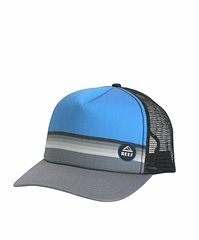 Top-of-the-line brands such as ScubaPro, Suunto, Tusa, Cressi, Henderson, Akona, Subgear, Neosport, Sherwood, Ikelite, GoPro, Scuba DoRag, OceanReef, Underwater Kinetics and Otterbox. We can outfit you from head to toe. We carry souvenir coffee table books by world-famous photographers such as Dos Winkel and Bertie Rook. These books show you the island’s essentials and the beautiful aquatic life in high quality images and colors. Breathtaking wildlife and underwater pictures, posters, postcards, and books make for perfect souvenirs of Bonaire. We also have a large selection of guide books about diving, Bonaire and marine life, including Duikgids Bonaire. If you have any questions about items that we have in stock or wish to pre-order something from Scubapro, please contact us. As the premium surf travel brand, Reef has a deep appreciation for the natural world. 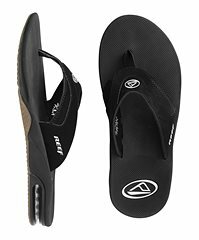 Reef continuously creates high quality, comfortable sandals and surf apparel for an active lifestyle. Their products are eco-friendly as they constantly strive to improve our environment. This made their clothing, accessory and shoe line the obvious choice for Dive Friends Bonaire. Right around the corner from Dushi Shoes. 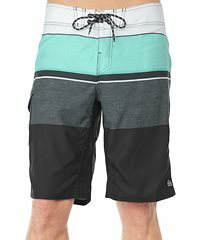 For a great selection of fashion, beach and sport apparel for men and women. Dushi Shoes has everything from flip-flips to running shoes. 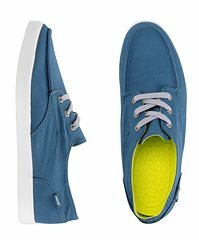 Popular brand names in stock are Nike, Clarks, DC Shoes, Guess, Birkenstock, Crocs, Sockwa, Ipanema, Ryder, and Havaianas. If you need some new flip-flops or want to check out the latest shoe styles from Europe and the US, just follow your feet to Dushi Shoes. If you’re wondering why a dive center would have a shoe store, well, Dive Friends Bonaire knows that quality merchandise is important AND that Crocs can be used as dive shoes! Dive Friends Bonaire is an OCEAN REEF International Training Center offering training, retail sales, rental, and equipment repair & servicing for OCEAN REEF products. Stop by our Dive Inn location or visit our OCEAN REEF IDM (Full-Face Mask) page for more information.